I used the image " Garden 16" from Fitztown. and fussy cut around them to make a different shaped card. The sentiment was printed from my pc. A simple embossed line around the edge, finished this card. Beautiful card Vic - love how the butterflies make the edge of the card and your colouring is wonderful! 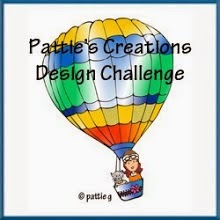 Thanks for sharing your card at Incy Wincy Designs this week. Beautiful card and design!! 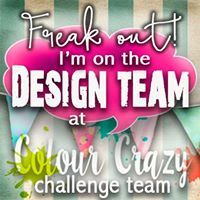 Thank you for joining us at "The Shabby Tea Room" for our "Rainbow of Colors" challenge. Loving your super striking off the edge butterflies. A great CAS card and full of fun. Thanks so much for linking up and playing along at AAA Cards. I love the addition of the embossing. It makes it look so elegant. It was definitely worth the time it took to line up your butterflies. They are gorgeous and look stunning! Beautiful CAS style card Vic. Love the butterfly edge! 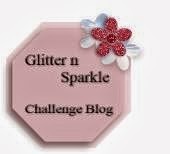 So glad to have you taking part in our Fun~Day Friday Challenge this week! WOW!!! This is gorgeous!! Your did an excellent job fussy cutting the edge of the card. Love the look of this! Thank you for joining us at DRS Designs this week! This is just so gorgeous, Vic! How clever to arrange your butterflies along the edge, it looks fab! Thanks for joining in at CRAFT Challenge! Wow...just amazing. However long it took to line up the butterflies was well worth it. Just stunning! Thanks for playing along with Funday Friday at Jo's Scrap Shack. Love this wonderful, spring themed card. Love the edge, and your coloring is terrific! Thanks for linking up and playing with us at AAA Cards! Wow! that's a lot of challenges :)! 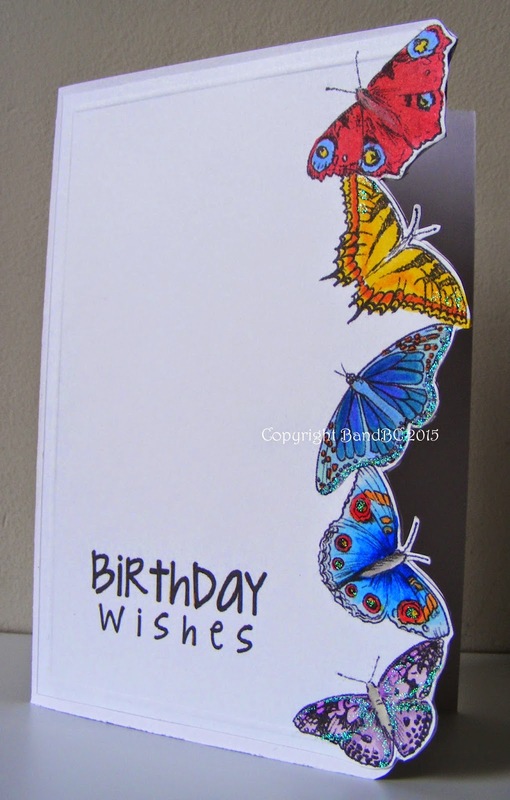 Love this card, really clever use of the butterfly stamps. Love how you created your edge by fussy cutting the butterflies. Very Creative! So pretty! I love how you did your edge of butterflies! Love how you've used your butterfly images to create a distinctive border. Pretty. Thanks for sharing with us at Aud Sentiments this fortnight and hope to see you again soon. Great card! A lovely creation. Thanks for joining us over at AUD sentiments this time. I am back again! Fabby creation! Lovely design and fabby colours used to make this wonderful creation. Thanks for joining us over at PTT.